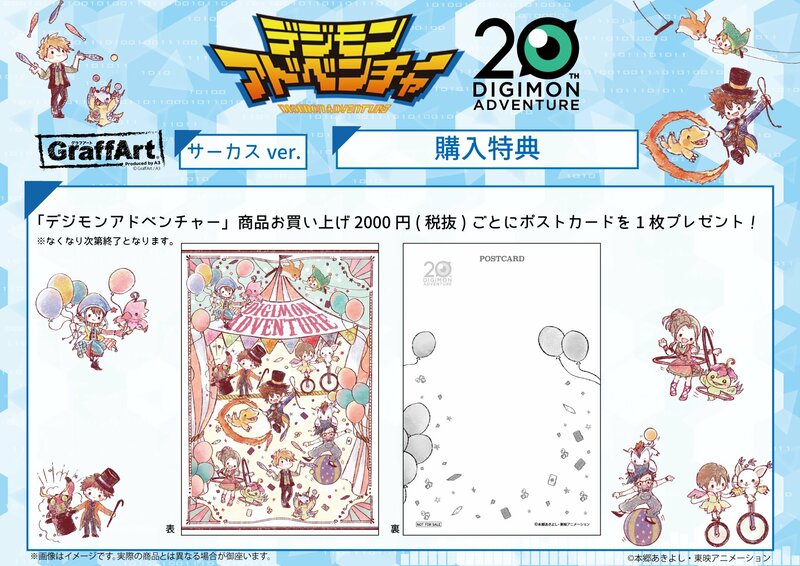 We have a few different updates for the upcoming GraffArt Digimon Adventure 20th products! The various products and details for the collaboration can be found here. 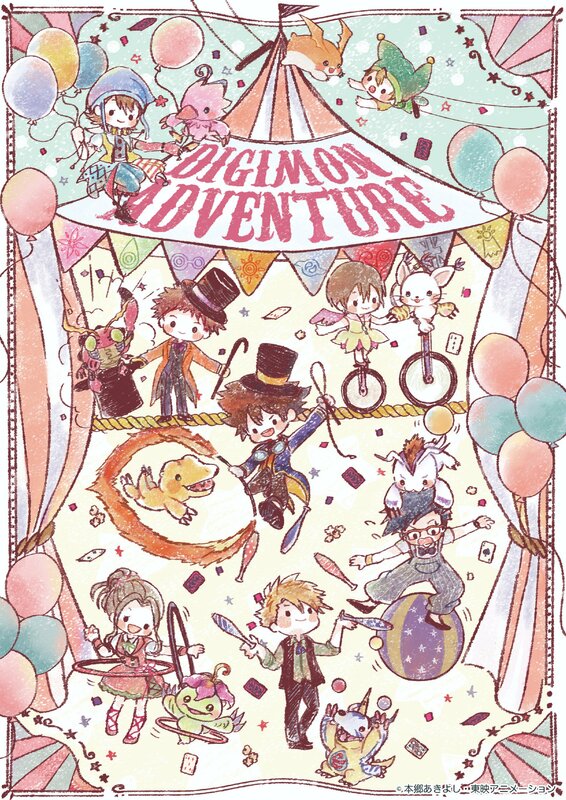 And while the image embedded above is a relatively small image, if you click it you will get a HUGE clean version of the circus graffiti key art. 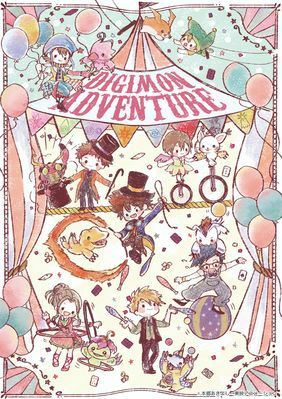 For every 2,000 yen you spend at a store on the products, you get a postcard featuring the circus graffiti key art! Then, they have 3 new store locations opening on March 20th in Shinjuku, Shibuya, and Kichijoji. Once these shops are open they will also carry the collaboration products. Last up, confirmation their online store will carry the products beginning April 4th. It doesn't appear they ship outside of Japan, but this should make it possible for people to send information to intermediaries if you don't know anyone who will be in Japan to nab items. Thanks to Ayushi for the translations! You'll want to provide your chosen intermediary with the link to the item. Just copy paste the link to the product pages for what you want and send them a message about it and they'll take care of it after they discuss pricing and their policies with you. When the products are up we will try and provide links that should be what you need to send to an intermediary.